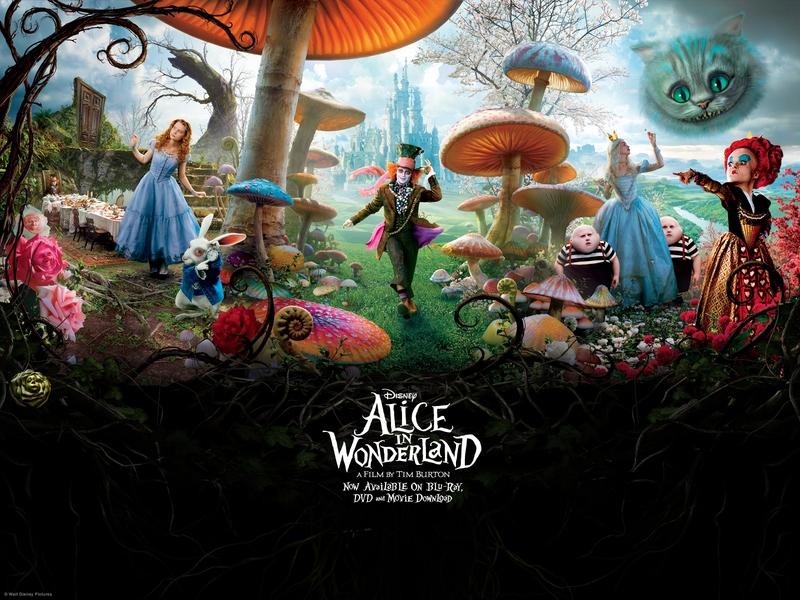 Alice im Wunderland. . HD Wallpaper and background images in the Alice im Wunderland (2010) club tagged: alice in wonderland 2010 tim burton's alice in wonderland movie disney film. This Alice im Wunderland (2010) wallpaper might contain anime, comic, manga, cartoon, comic buch, karikatur, and comics. Oh I love the mad hatter!! !